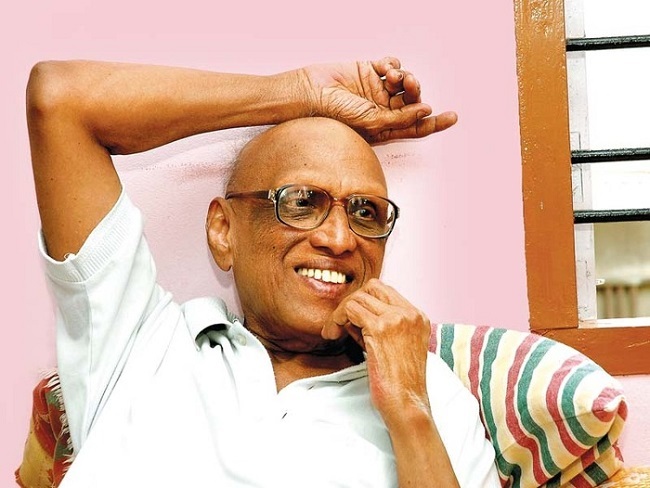 Sukumaran was known for the Leftist tone in his writings and later for critiquing Communist parties, even as he called Communism the last hope. 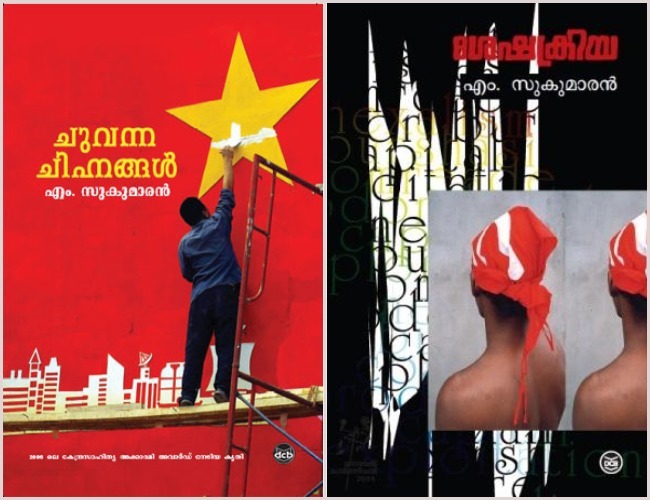 M Sukumaran did not go to receive the award that the Kendra Sahitya Akademi announced for him in 2006 for Chuvanna Chinnangal, a short story collection. He did not decline it either. He was just not the kind to go get an award and beam for a newspaper photo with it the next day. Friends – politicians and writers – and family who knew him well would tell you how indifferent he would be to such recognitions. The first one came in 1976, when Sukumaran won the state’s Sahitya Akademi award for writing Marichittillathavarude Smarakangal. Communist leader MA Baby, talking at the Thiruvananthapuram Press Club on Saturday, remembered his late friend Sukumaran as a man of innocence, as he described the Akademi incident. On March 16, Baby and other friends of Sukumaran observed the first anniversary of the writer’s passing. When Baby spoke, he pointed to the second row where Sukumaran’s daughter Rajani sat quietly with her family, following in her father’s footsteps of not going on stage, choosing instead to be among the crowd. Sukumaran’s life is not much more than what they all spoke of, Rajani tells TNM, after the remembrance. “He had no secrets,” she says. Sukumaran grew up in Palakkad and moved to the capital city in 1963. He began writing at 16 and published his first story at the age of 20, the same year he started working at the Accountant General’s office in Thiruvananthapuram. The same office would dismiss him from service 11 years later for taking part in trade union work. It was a year before the Emergency was declared, Rajani recalls. “Yes, 11 of them were let off for striking, and because it was the Emergency soon after, it was not possible to apply anywhere else. The dismissal had come directly from the president of the country,” the daughter of few words says. But she is a writer too, who didn’t show her works to her writer dad, but he would eventually read them when it got published. “He still didn’t say anything about it,” she says. But there was a lot of affection, she says, not just for the family but for everyone he knew. Satchidanandan, in his essay, points out the literary works through which he critiqued ‘the gradual moral decadence and ideological shifts of the Communist parties, mainly in USSR and China’ – Vellezhuttu (Cataract), Sheshakriya (The Last Rites) and Pitrutarpanam (Obeisance to the Father). “At the same time he never gave up hope. Till his last breath he believed in the possible resurrection of the Left in India in some form. He went on dreaming of an ideal Left free from the many ills that plague the existing one. He shared the faith that common people and party workers at the lowest level still have in the parties,” Satchidanandan writes. Baby, in his speech, wonders how Sukumaran would react to the recent incident of lakhs of defence production employees going on a three-day strike against the privatisation of the industry, or of the huge number of farmers walking from Nasik to Mumbai asking for their rights. “Because just like they say personal is political, cultural is also political,” he says. In 1982, Sukumaran had declared that he would not write anymore. “He said he had nothing more to say,” Ranjini says. For 10 years after that, he didn’t write. In 1992 he wrote Pitrutarpanam and in ’94, Janithakam. Pitrutarpanam tells the story of Sreekumara Menon, an old revolutionary, whose daughter thinks he is mad. In 2005, he wrote Chuvanna Chinnangal and three years later, Swadeshabhimani, Kelappan, Abdurahiman.